On January 1st, I decided it was time to address the issue of my weight gain over the last three years. The cause of my weight gain was simple (I stopped running, stopped lifting, and ate and drank everything I wanted), so the solution was simple also. 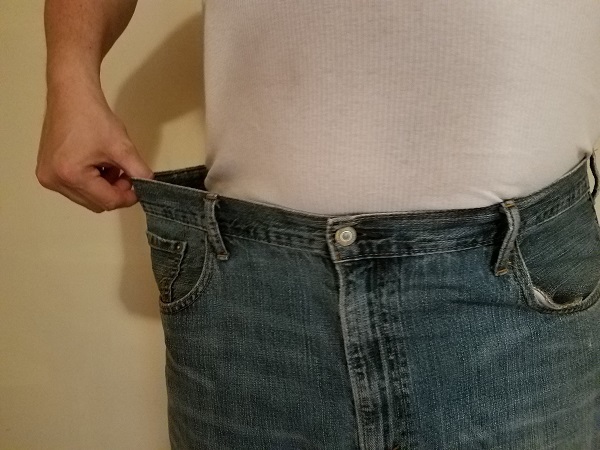 In six weeks I’ve lost approximately 15 pounds and dropped two pant sizes. My BP has dropped from, shall we say, “Go to the ER”, to ‘high normal’. I still eat almost everything I want. If I got serious I could lose another 15 pounds in 30 days, but because of my lifestyle choices, the number of birthdays we celebrate and various other excuses, I will probably take 60 days to lose the next 15 pounds, and I’m okay with that. I’ve done this before and it works, so I have confidence and patience. It helps that my Wife usually prepares my meals for me. It doesn’t help that my children enjoy surprising me with martinis they’ve made for me to see whether I can tell if it was shaken or stirred. My point is: this works. I did it before to lose 60 lbs successfully. Go off the plan, and I can put it all back on.